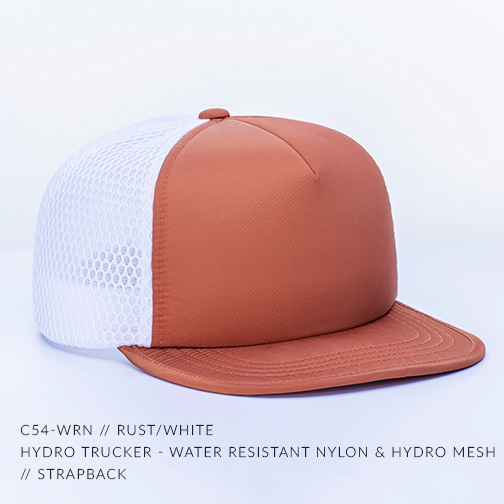 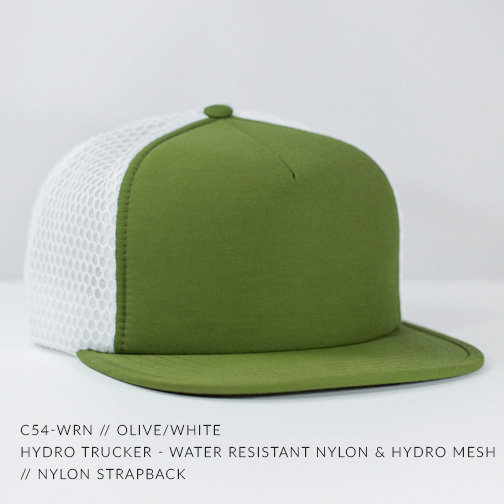 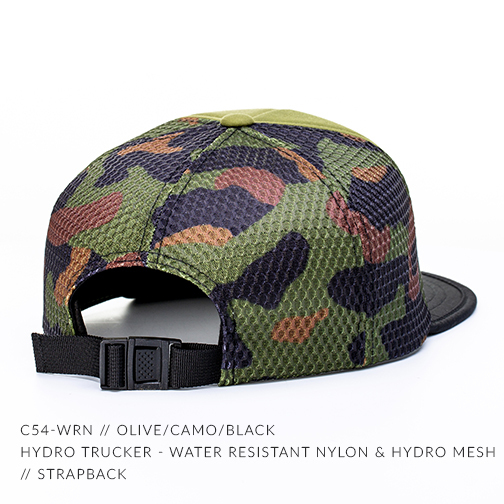 A Water Resistant Nylon front, Packable Foam Floating Visor, Hydro Mesh back, with a Nylon Strap. 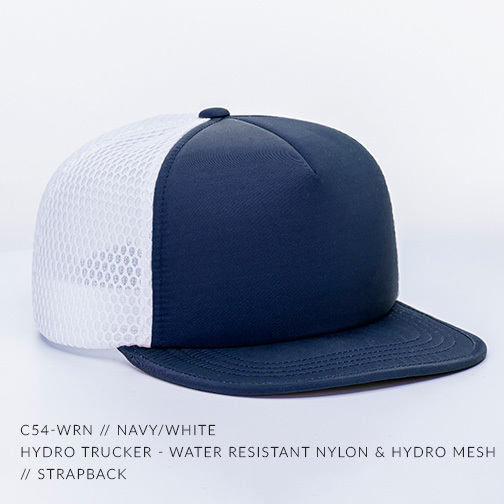 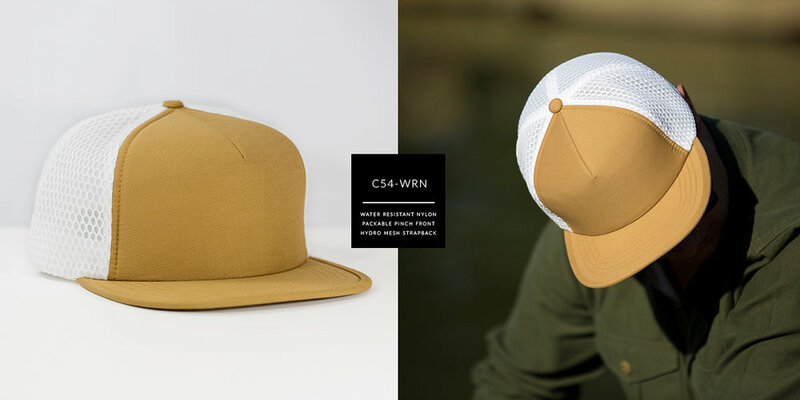 Designed with river rats & beach bums in mind, this foldable/packable/floatable trucker hat might take just take over the water world... or at least be the comfiest trucker you've ever worn. 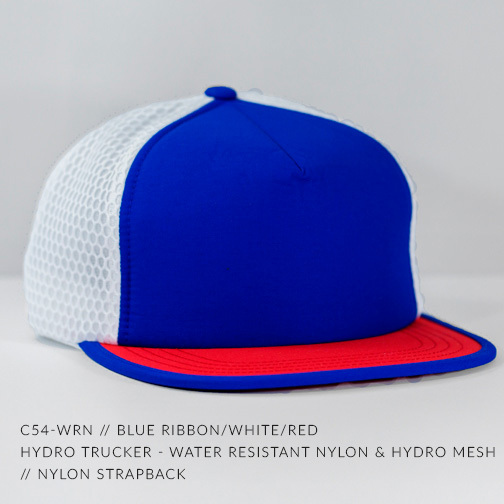 As always, NO Captuer logos or labels anywhere so YOUR brand's message is loud and clear.